I just reconnected with a gentleman who was recently married. This guy is very excited about his new wife and new life. I mean, he is totally psyched (a phrase I bring from the 1990s meaning “very excited”). It got me thinking about our work life. Have you experienced a honeymoon phase in a new job, business, or client relationship? Phase 1 – Honeymoon: Novelty and hope is fresh. Enjoy it! Your positive view point might encourage others toward positive change. Be mindful of the new improvements you are experiencing— in other words, count your blessings. Phase 2 – Reality: Yikes! What did you get yourself into? Remember, some things are still better now than they were (like the coffee or work schedule). It’s time to start strategizing for long-term success despite apparent limitations (like a disconnected team member) and to seek more knowledge. Phase 3 – Learning: Ahh! Finally, you are contributing. Of course, your performance isn’t perfect, but your value to the company is increasing. Start closing the gap between your novice impact and that of experts. Phase 4 – Mastering: Now, you are one of the experts. You are the one others seek out for guidance and assistance. Don’t get comfortable, it might be time for a new challenge. Phase 5 – Doubt: At this point, you question your commitment to your role, your boss, and your company. Hope for improvement is fading and for the first time consider leaving this “relationship” behind. Phase 6 – Demotivation: In this phase, your productivity begins to suffer. Your positive attitude is waning. It’s time to recommit to this role or commit to moving on. Phase 7 – Burnout: The thought of ongoing sacrifice for the cause dampens your mood. Make sure you’re taking care of yourself: getting rest, nutrition, and exercise. Tap into your support network by reaching out to your friends, coach, and mentor. Note that regardless of your phase, constant hope and total commitment are key. You might even cycle through a few phases as things continue to change. Sounds a little bit like a relationship, doesn’t it? In fact, it sounds a little bit like a faith journey, too! Reread the seven phases from a faith perspective. Any new insights? About the newlywed I mentioned earlier… He is the kind of guy that buys lunches for everybody, every time. He’s the kind of guy who sees the best in everyone and everything, regardless of phase. He’s the kind of guy who exemplifies constant hope and total commitment! The post After the Work Honeymoon Phase appeared first on Leading Synergies, LLC. 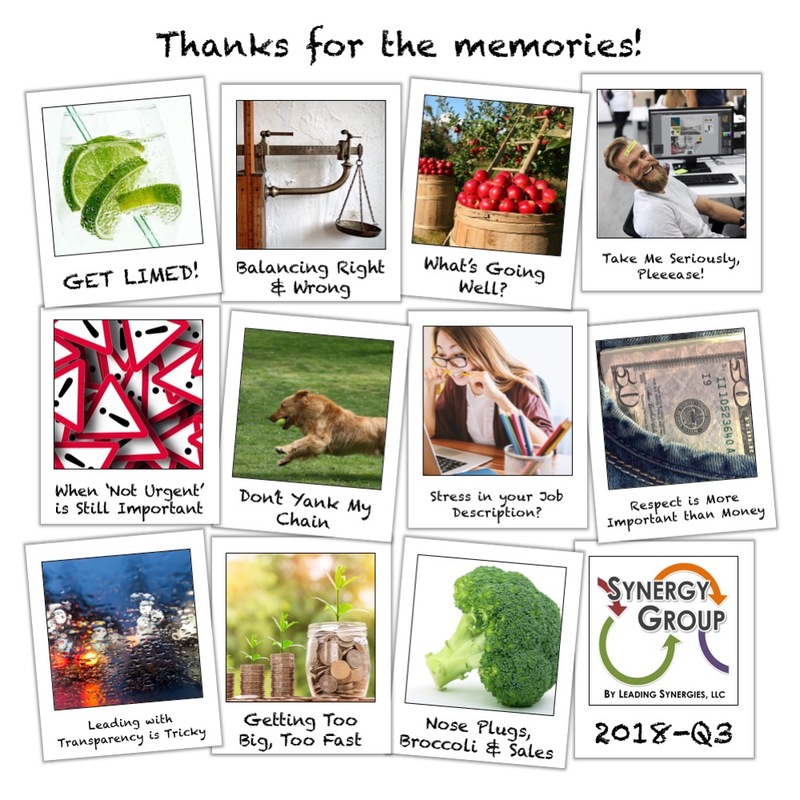 QUICK QUESTION: What did Synergy Group mean to you this past quarter? (What words, experiences, and learnings come to mind?) 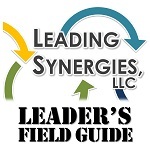 Share your thoughts with our LinkedIn Synergy Group! WHEN IS YOUR NEXT SYNERGY GROUP?